Lounging in my 2m x 3m wide boy! All over Ebay, Amazon and occasionally in your local supermarket, you’ll find cheap (hopefully) parachute silk hammocks. Some come with a hefty price tag despite being made of similar or usually identical material. There are literally hundreds of manufacturers now. Material: Virtually all ‘parachute silk’ hammocks are made from 210T taffeta nylon. What does the 210T mean? It stands for 210 threads per square inch. It’s a measure of the density of the fabric. While 210T material isn’t ripstop (if you snag it on a branch, your keys, a belt buckle and damage the fabric, expect that hole to turn into a split), so long as you’re reasonably careful they should last for years. The positives are comfort and price. As with any ideal hammock material, it’s breathable (if not, condensation/sweat leads to an uncomfortable soggy back!). For the rest of this article, I’ll use parachute silk and 210T hammock interchangeably. Prices: Prices for these hammocks tend to range from under £7 to £60. The difference… very little apart from size (and a higher price doesn’t mean a larger hammock… although logic says it should!). There’s much hype about single layer/no mossie net hammocks… these hammocks are a rectangular strip of material (or several strips sewn together which make a rectangle) with a rope or cord running through each end which draws the fabric together at the ends. That’s it! No special tailoring required. All the 210T hammocks I’ve seen have triple stitched hemming and depending on size, the comfort levels are identical (which it would be, being the same material). When hammocks are made of identical material, it’s hard to justify the huge price difference in parachute silk hammocks beyond hype and marketing. Not all hammocks are the same, and there are different materials used, some stronger, some softer and that and added features such as double underlayers, built in netting, better quality zips, top covers, internal storage pockets justifies higher prices. The same can’t be said when hammocks have none of these additional features or differences. These 210T hammocks are pretty much identical. You needn’t be paying more than £10 for a 140cm wide 210T hammock. Prices for 2m x 3m hammocks normally hover between £17 to £30 (occasionally a seller will have one for £10 if you shop around). The last 2m x 3m wide hammock I bought was decent quality with no loose threads… and yes, I found one for £9.99 on Amazon. That offer’s ended… but they do come up! Size: Parachute silk hammocks tend to be 140cm or 200cm wide. Many sold as ‘double hammocks’ aren’t. A 140cm wide hammock is not a double hammock. That’s misleading nonsense. It’s a reasonable sized single. Some 210T hammocks are even narrower at 120cm wide… avoid these (the narrower width puts pressure on your shoulders and you won’t be able to lay on a diagonal, so they’re less comfortable and you’ll sleep like a banana). Fine for kids… small kids at that! Hammock width and length is important for comfort. 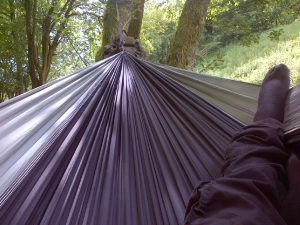 140cm wide is ok for comfort, but a 200cm wide hammock is simply more comfortable and worth paying the extra (if you can find a deal, sometimes the larger hammocks are the same price!). Why the extra width? If you lay diagonally across a hammock, the hammock flattens out and you don’t have that ‘banana bend’. This allows you to sleep or relax on your side without your knees being bent at an odd angle and pressure on your hip or calves. As you can see in the picture above, in a 2m wide hammock you can “starfish”. Comfort: 210T material is very comfortable in part because it isn’t ripstop. Ripstop material includes stronger threads woven in with the fabric as reinforcement. While woven in ripstop threads strengthen the fabric, the fabric then tends to have less ‘give’. A lack of reinforcing threads leaves the fabric stretchier, so it conforms better to your body. The differences are marginal, but still noticeable. If you thought cheap hammock material was less comfortable, you’d be wrong, and trust me when I say even ripstop fabric can rip if you abuse it. Hammock weight: The 2m x 3m hammocks weigh in the region of 500 grammes plus whatever carabiners/suspension you use. One of our group members recently had a DD superlight hammock split, and replaced with a larger 210T parachute silk hammock. Compensating for the area of the larger hammock, the weight difference was only 2%! 210T is a light material. They’re single layer: If camping in them overnight, or on anything other than warm summer days you’ll need some insulation for your back. If using a sleeping mat, these can be a pain in single layer hammocks as they shift about. A double bottom layer sandwiches a sleeping mat in place. Hammock material and sleeping mats tend to be slippery. If you’re using an underblanket… no problem. Non-Ripstop material: You need to be careful not to snag your hammock on sharp objects. Be careful of car keys, boots, belt buckles! I’d think twice before having a dog jump in… more than one 210T hammock has been destroyed by a labrador’s claws! 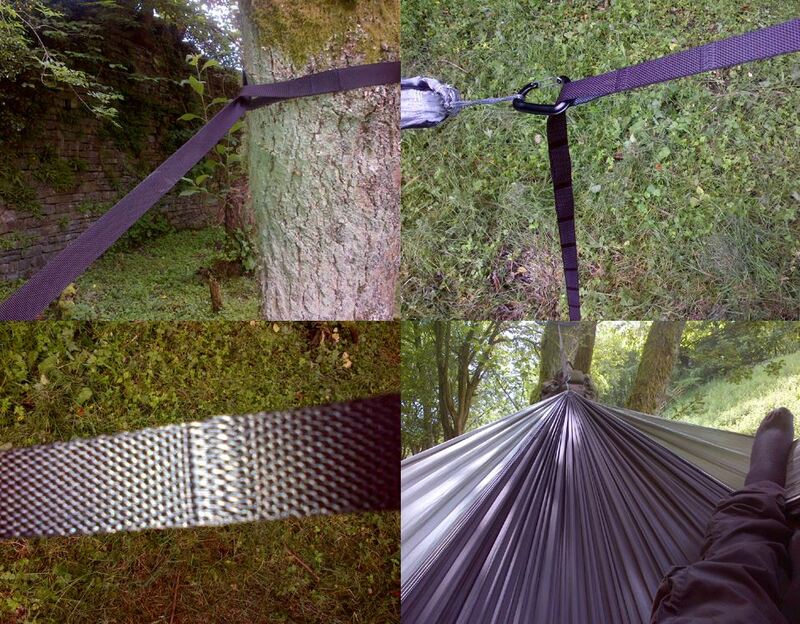 Without ripstop material, the hammock is likely to split if it becomes damaged. Be careful and you should be fine! I haven’t had one split yet but the cats are banned from mine too! No tree straps: These hammocks rarely come with tree straps. Tree straps are essential so the weight of you in the hammock doesn’t cause damage to the tree bark. Ropes are too thin and constrict the tree bark. 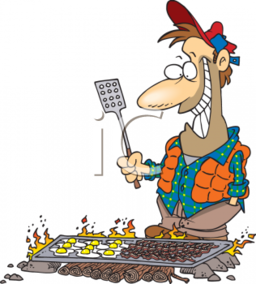 Any campsite owner, park ranger or fellow hammocker worth their salt will not approve! Tree straps should be at least an inch wide. 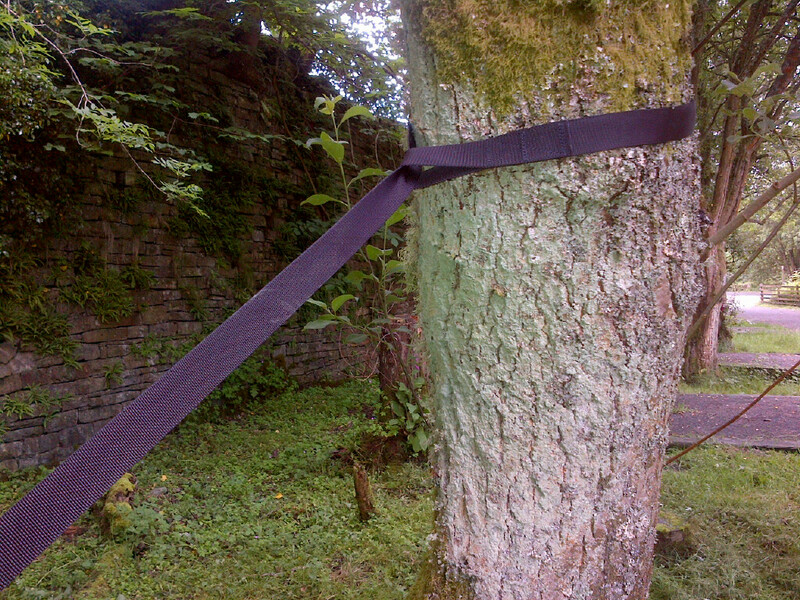 In some states in America, they insist on tree straps being 3 inches wide. Buy yourself some tree straps, or upgrade the suspension to looped/daisy chain straps. No integral midge netting: Depending on where you chill or camp, midge netting can be an essential. You can buy separate midge nets, but these need to be the right size! A 3m long parachute silk hammock is not going to sit well in a midge net designed for 2.7m hammocks. While some parachute silk hammocks come with a built in midge net, these are usually poor quality and the thread density in the netting is too low to keep out midges. One exception is sold by Onetigris where the netting is of decent quality. Watch out for and avoid hammock mosquito/midge netting which looks sheer and is green. I’ve come across too many people who’ve found this tears easily. You’ll find lots of these hammocks on Ebay and I would avoid them. Cheap is fine… cheap and prone to breaking is not! Rope and Carabiners: The rope and carabiners these hammocks come with tend to be ghastly. The rope is stretchy nylon (and it’s normally too short to be useful), and the carabiners are heavy steel, and some come with sharp edges on the clasps (not a good thing with material which can split if it’s snagged). You can buy cheap 12kn wiregate carabiners on Ebay for about £2 each if you don’t mind waiting for them to be imported. On Amazon for £6.99 a pair for UK delivery. These are far lighter, have no sharp edges, and are strong enough for hammock suspension. Do the upgrade. 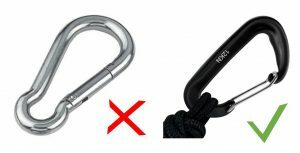 12kn carabiners will hold over 2,000lb, and the aluminium ones only weigh 20 grammes. The rope which connects the hammock to the carabiner can also be replaced. The ends of the rope are sealed by burning, and can have sharp edges where the nylon hardens as it burns. 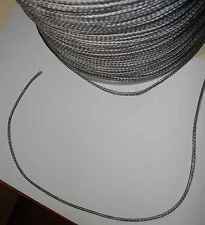 I upgade mine with 2.5mm wide, 8″ long Amsteel continuous loops. Amsteel is far stronger, less bulky, and has no sharp edges. There’s also no knot to become undone. It’ll cost you around £6 to do this and the loops can be bought from Henge Hammocks (no we’re not on commission, but their service is good and many people in our Facebook group use them for hammock accessories). 2.5mm Amsteel will support roughly 1,600lbs in weigh. Why have something which can support so much? Hammock suspension equipment should ideally support 5 times body weight to cope with ‘shock force’ from getting in, getting out, swinging, turning over and shuffling into a sleeping bag. Amsteel is so light it floats on water and a popular material for hammock suspension due to this. Few of the (much) more expensive hammocks are as wide as a 2m x 3m parachute silk hammock and you can often pay hundreds of pounds for these, they normally have to be imported from the US which also involves import duties. For day time lounging in a hammock in a non-midgy/mosquito area, for comfort and value for money, they’re well worth the money. These cheap hammocks are a contender for comfort, even when compared to the much much more expensive hammocks. Back Insulation: For overnights and chillier days you can use a sleeping mat to insulate your back or go for one of the synthetic underblankets. Personally, due to the width of the 2m wide hammocks, I’d go for the underquilt made by Snugpak. I use a DD underblanket simply because I already had one which works well enough, but Snugpak’s is 24cm wider. There are cheaper synthetic underblankeds, but these are narrower still and more usually used with shorter hammocks. Bug Nets: As for adding a mosquito/midge net, you want one long enough for a 3m wide hammock and your choices are a little limited. While bulky, the best quality in my opinion is by Thermarest. In addition to being roomy, it has an internal ridgeline to hold the netting away from you and material on the bottom which will not snag leaf litter. The downside is it’s a little bulky as it reaches to the ground, and is expensive with current prices on Google showing between £52.95 and £68. Last year, one store was selling them half price! A cheaper alternative is the Mosquito Net Cocoon made by Hammock Bliss for around the £40 price mark. 2100 holes per square inch make it more than midge proof, and it’s 3m long. Unigear is even cheaper at under £20 on Amazon (but too shallow for larger hammocks like the Lixada.. for 3m long x 2m wide hammocks, go with the Thermarest or Hammock Bliss). Suspension: There’s lots of choices here. Whoopie slings and tree straps, looped/daisy chain straps, and webbing with cinch and buckles being a few of the more popular. We’ve an article coming soon on suspension options, and will link from here when published. It’s inevitable that at certain times of year, you’re going to find yourself visited by unwelcome guests while camping. Mosquitos and midges… not my friends! A number of things will help keep these little critters away from you. Wood smoke works fine, but only if you’re sat in a cloud of it… watering eyes, a running nose and choking isn’t my idea of relaxation. There’s no shortage of wearable mosquito netting, hats and so on, but they’re not for me. I want to smoke a fag, eat and have a drink without navigating a netting yashmak. A decent repellent is therefore a necessity. Deet is an insecticide applied to the skin. Scary? Only if you’re somewhat gullible and follow Facebook wall posts, believing them to be scientific. Deet is generally quite safe to use, has been subject to numerous studies, and while reactions are possible, they’re extremely rare. Peanuts are more dangerous. A study in Thailand into the effects of Deet on babies born to pregnant women found no health risks (you can see the study here). Doctors recommend the use of Deet as it’s highly effective repellent. 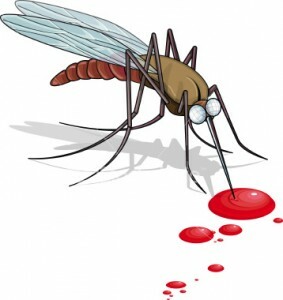 You’ll find one or two studies which raise concerns that a small number of deaths or neurological reactions may be due to Deet, but this has to be weighed against the approximate 200,000,000 people using Deet each year and 8billion applications since the 1950s. In 2014, the US Environment Protection Agency conducted a review of Deet use and health risks. It found that a third of the population of the United States use products containing Deet, and concluded it does not present a health risk to adults or children. Do not spray on plastic or synthetic material (as it can melt it… this includes your hammock, bug netting and tarp!!!). Products using Deet include Jungle Juice, a very popular midge repellent. The one linked contains 50% Deet. An alternative to Deet is Avon’s Skin So Soft product. I know many locals in Cumbria who swear by it as a midge repellent (and the midges here are evil, similar to the ones found in Scotland which can creep through all bar noseeum netting). A study has compared Deet (in concentrations of 95%) with Skin So Soft Bath Oil and a placebo. Skin So Soft did remarkably well, being 85% as effective as a highly concentrated Deet solution which was more concentrated than many commercially available insect repellents. It also makes your skin soft! If you’re walking in Scotland or other parts of the British Isles, watch out for the plant bog myrtle (a traditional midge repellent). It’s a shrub which can grow up to two metres tall. Bog myrtle can also be bought as an essential oil. Be aware that it can cause skin irritation for some people. Remember, just because something is a ‘natural’ repellent rather than a man made one doesn’t mean it’s safe. They’re all chemically based, and arsenic is a natural substance found in apple seeds! Let me introduce you to a magical cord made from a substance called Dyneema. It’s used in both hammock and tarpaulin suspension. Dyneema is incredibly strong, pre-stretched, packs very small, is very light, and even better, durable. With these qualities, it’s probably the most popular material for suspending a hammock, as the cord most commonly used is only 2.5mm thick (and light enough to float on water). You may come across a product called Amsteel-Blue. This is the name of cord or rope made from Dyneema (it comes in different colours, but it’s still called Amsteel-Blue). For those of you who don’t like metric measurements, 2.5mm is the same as 7/64th of an inch. Cord used for suspending hammocks needs to be low stretch, and have a load bearing weight which is significantly greater than the weight of the item that it needs to support (YOU!). The cord has to cope with shocks and strains caused by you moving about and getting in and out of your hammock. A good rule of thumb is the cord should have a minimum load strength which is 5 times your body weight. 2.5mm Dyneema braid has a minimum load strength equivalent to 1,400lbs (635kg). 2.5mm is suitable for people up to a weight of around 20 stone (127 kg). If you’re heavier, consider 3mm thick Dyneema/Amsteel-Blue, which should be fine for people up to 33 stone (209kg). 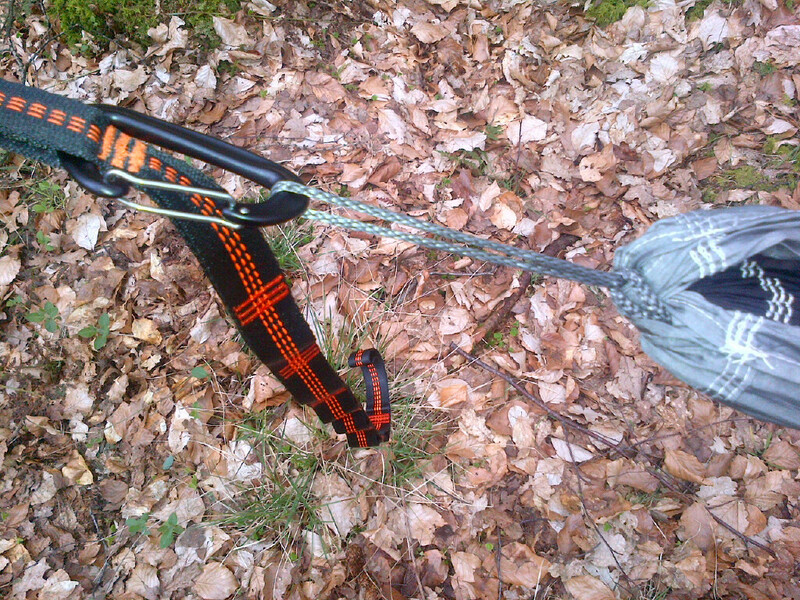 An example of an unsuitable material for hammock suspension is paracord. US military paracord has a load rating of 550lbs, but stretches! Chinese paracord can be weaker. Stretching causes additional weakness, which can end with a rather painful meeting with the ground. 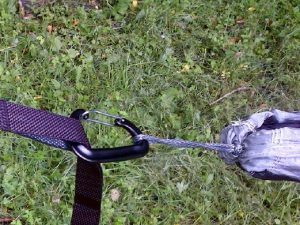 Paracord is suitable for suspending a tarpaulin (using it as a ridge line) but be aware it does stretch so you may find your tarpaulin sagging a little in the morning. Again, we really don’t recommend paracord for hammock suspension. 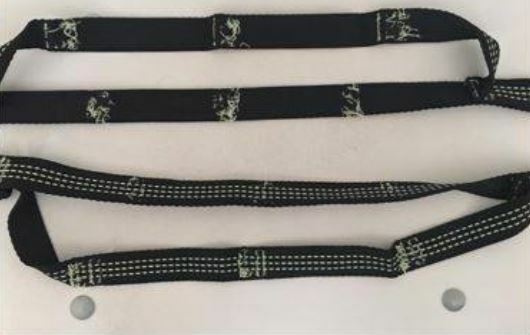 Whoopie Slings: These are adjustable cords which you use to suspend your hammock. The video below shows whoopie slings being fitted to a hammock, and shows how easy it is to adjust their length. You can buy whoopie slings from companies like DD Hammocks, or if you wish make your own. DD Hammocks also sell Dyneema braid, and their price is the lowest we’ve found in the UK (email us if you find cheaper!). They sell 2.5mm braid for only £0.99 a metre. The video below shows how to make your own whoopie slings. You don’t need shop bought specialist tools although some people use them. The tools I use are a size 5 knitting needle, a length of thin garden wire and a pair of kitchen scissors. It’s not hard! There are a few ways to find north without a compass, gadgets or technology. Knowledge you’ll probably never need, but if you’re out in the woods, get lost and don’t have a compass, it may stop hours of wandering about. Given you’re likely to find yourself in woodland (unless you sleep in a hammock on the ground?!? ), you may try relying on a common belief that mosses are more likely to grow on the north side of trees because the north side will receive less sunlight (and so be cooler and more damp than the south side). 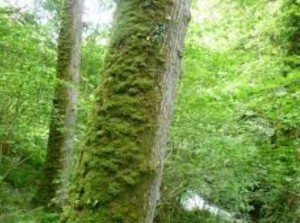 Mosses like damp, shady habitats, not unlike people from Manchester. Be warned that I’ve found myself in some woods where everything is covered in moss, and others where the species of tree seems one that mosses simply don’t like. Worse, I’ve seen trees where the moss was only growing on the south side. If something else is giving the tree shade (like the tree next to it) this is creating those same shady conditions which mosses seems to prefer. So how good a tip? I wouldn’t want to rely upon it. You can make a simple compass using four sticks and the sun. Take a 2 feet long stick and poke one end in the ground. At the end of its shadow, place a marker (a small stick again pressed into the ground or a rock will do). 15 minutes later the shadow will have moved (ideally wait longer than 15 minutes for greater accuracy). Place another marker at the end of the new shadow. Lay a fourth stick between the two markers. This stick points from east to west, but which is east and which is west? Remember, the sun will cast shadows towards the north. 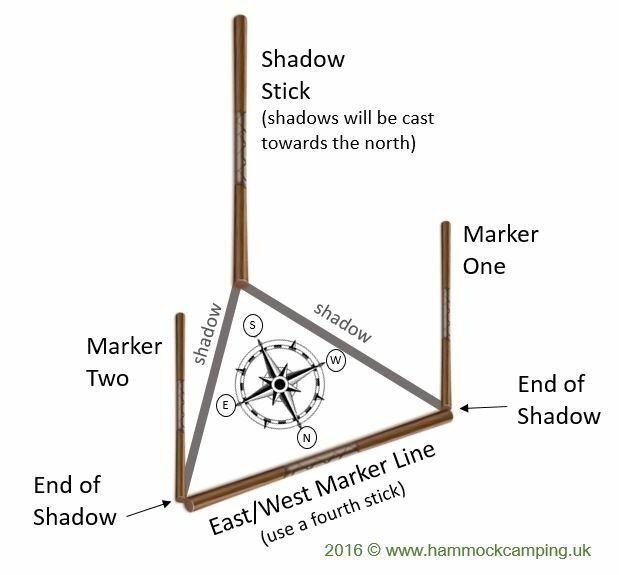 Lay a fifth stick at a right angle across your east/west marker line, and the end pointing towards your shadow stick points south, and t’other end points north. Reliable? 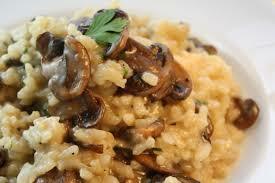 Not indoors, nor at night time, in the fog, under dense tree cover or in driving rain. Otherwise… pretty good! The sun rises in the east and sets in the west and as a rule of thumb, at 6am it’s to the east of you, and at 6pm it’s to the west. It’s roughly south-east at 9pm, due south at midday, and south-west at 3pm. Don’t take my word for it… test it out! It’s dark and I’m lost! While nature may let us down with the reliability of tree mosses, the North Star (Polaris) will reliably point you to the north unless there’s light pollution or it’s a cloudy night. Even better, the North Star is easy to find (although NOT the brightest star in the sky). You may have noticed two groups of stars which look like saucepans (to me at least… always the food theme). These are the Big Dipper and Little Dipper constellations. The North Star is the last star in the ‘handle’ of the Little Dipper. A third constellation, Casseopeia (which looks like a ‘w’) is also useful to help locate the North Star in the sky. 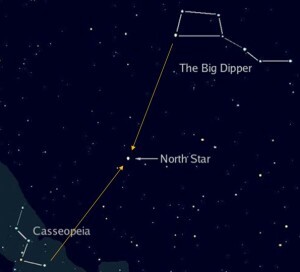 The North Star can be found roughly in a straight line between the Big Dipper and Casseopeia. Even better, the outside edge of the pan shape on the Big Dipper points towards both the North Star and Casseopeia. 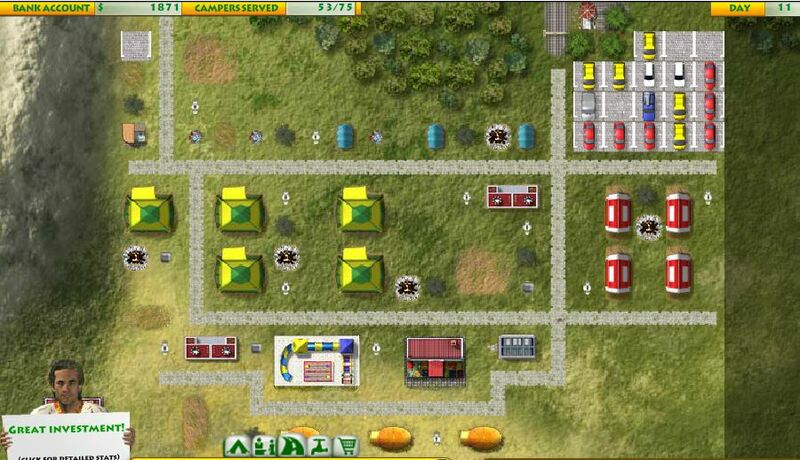 Have a look at the image, which explains things more clearly. Find the north star, then image a line straight down to the horizon. That’s north! 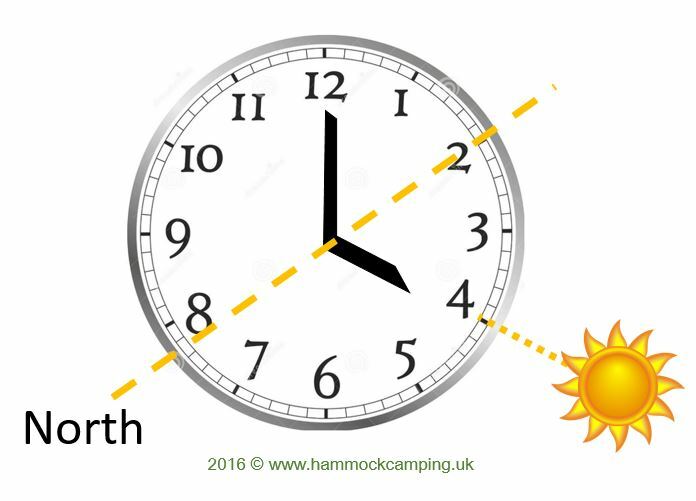 Remember, at midday if you’re in the Northern Hemisphere, at midday, the sun is due south. How do you tell where the North/South are when it’s not midday? Simple. You need a watch with an hour hand. Lay the watch flat on the palm of your hand. Turn around until the hour hand points in the direction of the sun. Work out the middle point on the dial between the hour hand and 12 o’clock (so if it was 4pm, this would be the 2pm mark). Run an imaginary line from that point to the centre of the watch face. This is your North/South line. If you have a digital watch or tell the time using your phone (as I do), make out a watch face on a piece of paper or even on the ground with a stick. A word of warning. If your watch is set to daylight saving time, you’ll need to make a minor change. Turn the watch until the hour hand is facing the sun as you did before, but work out the midway point between that and the 1 o’clock marker on the watch face instead of using the 12 o’clock marker. Be careful as batteries die, the calibration goes skew-whiff. When I say good, it depends on quality, as some compasses are not good at all. Test it before you head off into the wilds as I’ve had ones before where the needle wobbles about and changes its mind! There’s also a small risk in today’s world of gadgetry that the magnetic fields generated by mobile phones and similar electronics can reverse the compass needle polarisation. Just imagine your compass guiding you west when you think you’re going east! There are seven reasons why we’re recommending DD Hammocks. The quality of their products is good and the products feature thoughtful design. We sleep in their products. They’re inexpensive, and you don’t see quality compromised for price. There’s no point having a cheap hammock where midges climb through the mosquito netting, the hammocks and netting tears, or where the strapping breaks! 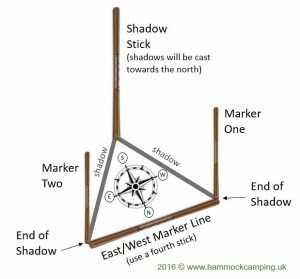 They have a wide range of accessories allowing you to spread the cost of building your ultimate hammock camping system. Fast Delivery (when we purchased in the morning, we got our items next day). If we recommend something, we don’t want our visitors upset. We feel confident with DD. To see the full specification of DD’s hammocks, click on the green + buttons in the table below.